...Victor and Elvira Mendoza were detained for weeks after agents arrived at their San Pablo home in January to serve a warrant for someone who didn't live there. The brother and sister had come to the Bay Area from Mexico in 2003 to be reunited with their parents, legal U.S. residents, whom they had last seen when Victor was 13 and Elvira 9. In a crackdown begun last May against illegal immigrants who ignored deportation orders, including convicted criminals, U.S. Immigration and Customs Enforcement agents arrested 18,149 people by Feb. 23. Immigration agents arrested siblings Victor and Elvira Mendoza, 21 and 17, when it turned out the fugitive they were looking for no longer lived at the Mendozas' home. Officers detained 6-year-old U.S. citizen Kebin Reyes for 12 hours when they arrested his father as an illegal immigrant. These and many other families across the Bay Area and the nation were turned upside down this year by Operation Return to Sender, a federal immigration crackdown begun last May. The raids focus on illegal immigrants who have ignored deportation orders, but 37 percent of the 18,149 people arrested nationwide through Feb. 23 were not wanted fugitives. Mental health experts say the raids are traumatizing children. Legal scholars and public officials are raising constitutional questions about the way the raids are carried out and about their impact on communities as a whole. And immigrant advocates say changes in immigration law -- including tougher provisions enacted in 1996 -- leave little room for illegal immigrants to correct their status. ...The American Civil Liberties Union and the Lawyers' Committee for Civil Rights sued federal authorities in San Francisco on Thursday on behalf of Kebin Reyes, now 7, saying agents violated the child's civil rights when they took him into custody. Attorneys charge that the federal government violated Kebin's Fourth and Fifth Amendment rights to liberty and to being secure in his own home. When agents arrested his father, Guatemalan-born Noe Reyes, on March 6, they would not allow him to call relatives who could take charge of Kebin and instead held the boy until an alarmed uncle heard about the arrest from neighbors, Noe Reyes and his lawyers said Thursday. "He went with his dad so he wouldn't be left home alone," said immigration agency spokeswoman Lori Haley. "We work with the families to find someone to take care of the child." "Just because someone is Latino or has an accent doesn't mean an officer has reasonable suspicion they are undocumented," said Lawyer's Committee staff attorney Philip Hwang. "Even being in the household where one occupant is undocumented doesn't create reasonable suspicion, because there are legion mixed-status households." ...Bay Area residents have said farewell to devoted parent volunteers, talented soccer coaches and close friends. Scores of Berkeley residents mourned the departure of Felipe and Norma Espinoza, who lived undocumented in the United States for two decades and built a much richer life for their three boys than they would have had in their hamlet in Michoacan, Mexico. The Espinozas were placed in deportation proceedings before the current federal campaign. They hired a lawyer to try to gain legal residency, but the lawyer -- later disbarred -- didn't show up for court appearances after he took their money. In February, the couple told their sons to say goodbye to their classmates and pack their bags. The court had ordered them deported and the family returned to the two-room house where Felipe was born. Felipe, a former steelworker, said in a phone interview that he hasn't yet found work, even as a field hand. Felipe Jr., 14, said he is studying math two years behind the geometry class he left at Berkeley High School and wishes he could return to the Bay Area, even without his parents. Child psychology experts say children suffer most from the disruption of armed agents coming into their homes and taking away their parents -- and sometimes themselves. Children can experience stress, depression and anxiety disorders, said Amana Ayoub, a psychologist at the Center for Survivors of Torture, located in San Jose, who is familiar with Kebin Reyes' experience. Psychiatrist Dr. Alicia Lieberman, director of the Child Trauma Research Project at UCSF, said children who witness their parents being taken into custody lose trust in their parents' ability to keep them safe and begin to see danger everywhere. "Over and above the sense of terror about, 'What will happen to my mommy and daddy and what will happen to me?' the common thread is, 'We cannot trust the authorities,' " Lieberman said. Many adults have responded the same way, said Evelyn Sanchez, advocacy coordinator with the Bay Area Immigrant Rights Coalition. "We've been in touch with a lot of families that have been affected by the raids, and understandably they are scared," Sanchez said. "Being undocumented is no light matter anymore, and they are really taking cover." ...Rocío Avila, a lawyer for La Raza Centro Legal in San Francisco, said an adult client of hers was detained during a raid even though he is a U.S. citizen. "He attempted to let them know he was a U.S. citizen, and they didn't initially believe him," she said. "He asked, 'Who are you here to see? Do you have a warrant?' They handcuffed him immediately and put him on the floor." The man, fearful of publicizing his name, is considering legal action. Elizabeth Larose Dunn, who leads Marin Montessori School, said a sixth-grade student whose parents were arrested in immigration raids in March and did not want to be identified by name is a high achiever and "beloved in the school." "This is America, a place we'd like to think all of our children are safe," she said. "I'm so sad about this on a personal level." Eric Blanc from Revolution Youth reports that young people from dozens of high schools and colleges throughout the Bay Area are planning to join thousands more across the state in walkouts on May Day - International Workers Day - in support of human rights, economic justice and dignity for all immigrants. More on Revolution Youth. SF State Students walked out of class in huge numbers Thursday 4/26 to protest lack of student voice and power in the recent Fee Hikes approved by the CSU Board of Trustees. Thousands of students at SF State and throughout the CSU system showed solidarity with faculty members like me in the California Faculty Association and played a key role in helping us achieve a fair settlement. CFA faculty also joined students in protest of the huge proposed cuts to EOP and the recent fee hikes. Student Organizer and Associated Students Leader Asella Blood [left] and other leaders made class presentations and went from classroom to classroom to build support. Many of my students like Ed Jr. Arimboanga [right] walked out and helped organize the protests. Oakland - 10:00 am gather at the Fruitvale BART station and march to the federal buildingin downtown Oakland. For more information, Claudia Reyes mailto:claudia@mujeresunidas.net. San Francisco - 12:00 pm people will be gathering at Dolores Street Park (Dolores Street & 18th) and start marching to Civic Center Plaza at 1:00 pm. Berkeley - Gather at 11 am in Sproul Plaza for a danza blessing At 12:00 PM in Upper Sproul there will be a program with speakers and march to Berkeley City Hall At 1:00 PM from City Hall people will either meet up with the rally at Oakland or in San Francisco.For more information Ruben Cabrera, 510 388 0173 or rubcab@gmail.com. Martinez - March and vigil begins at the Martinez Marina on Court Street at 5:30 pm at ends at the Contra Costa Court House. The event is sponsored by CCISCO: Contra Costa Interfaith Supporting Community Organization. Organizers ask that participants dress in white and bring American flags. For more information, 925-313-0206. Santa Rosa - Gather at 11:00 am at the old Albertsons Shopping Center - 665 Sebastopol Road. There will be some entertainment, speakers and immigration attorneys. Please wear a white shirt. For more information, 707-206-6889. In Mountain ViewGather at 5:00 pm at 1880 California Street. March to the Civic Plaza where there will be a rally. For more information, Maria Marroquin (650-291-1021) or Gail Sredanovic (650-521-6956). Philanthropists will dedicate millions to make education a top issue in the presidential campaign. Disillusioned with the pace of reform in America's public schools, two of the country's leading education philanthropists have tapped ex-Los Angeles schools chief and former Colorado Gov. Roy Romer to head a campaign aimed at forcing education into the forefront of the 2008 presidential campaign. The charitable foundations controlled by Microsoft founder Bill Gates and Los Angeles billionaire Eli Broad have committed up to $60 million to the nonpartisan initiative, which organizers say will be run with the tactics and aggressiveness of the presidential campaigns they will hound in the run-up to next year's elections. "We've been involved in education reform for seven, eight, nine years," Broad said of the two foundations, which together have spent hundreds of millions of dollars on education reform. "We feel good about what we've accomplished, but it's been very incremental. We think it's time to rouse the American public. They need a wake-up call." Romer, 78, who ended a six-year tenure as superintendent of the Los Angeles Unified School District late last year, will head the Strong American Schools campaign. His success in getting new schools built and raising test scores in Los Angeles, along with his three terms as governor of Colorado and stint as chairman of the Democratic National Committee, made the straight-talking elder statesman an obvious choice, Broad said. Navigating the politics, public scrutiny and bureaucracy that come with running the nation's second-largest school system "prepares you for a lot of things," Romer quipped. "Including a tour in Vietnam." Romer, Broad and Allan C. Golston, head of the Gates Foundation's U.S. endeavors, pointed to high dropout rates, declining test scores and other signs that American students are falling behind those from other countries in calling for education to have a place alongside the war in Iraq, terrorism and other major campaign issues. "We do not want the pablum from candidates of 'It's a big priority and we need better schools,' " Broad said. "We want to nail them down on specific issues." Steve Rubenstein and Nanette Asimov of the SF Chronicle just reported that Hayward Teachers have reached a tentative settlement with their district. "All 1,300 teachers are expected to return to their classrooms Thursday, which will be a minimum day with early dismissal, according to union spokesman Mike Myslinski. The agreement between the Hayward Education Association and the Hayward Unified School District came at around 9:30 p.m., after a round of talks that followed a large protest at the Hayward school board meeting. When the strike began on April 5, teachers were demanding a 16 percent raise over 2 years and the school district was offering a one-time raise of 5.5 percent. It was not clear which side made additional concessions, if any, to reach the agreement tonight. "After months of telling the district how the low pay for teachers is hurting our schools, the district finally agreed to do something about the problem," said Kathleen Crummey, president of the union. "This salary agreement isn't perfect, but it acknowledges that Hayward teachers are underpaid. It will help retain and recruit more dedicated educators for our classrooms." ...During the strike, only about a fifth of the district's 20,000 students were showing up for class. They were being taught by 180 substitutes and non-striking district employees." World Premiere of Boycott Monster Cable - the Movie! Some 300 SF teachers rallied for a fair contract and to support the striking Hayward teachers as well. Thanks to the bands, the Raging Grannies and The Angry, Tired Teacher Band from, of all places, Hayward Unified School District. At about 10pm, our Board of Education also unanimously passed a new policy, with support from our legal office and immigrant rights activists, in opposition to the racist and anti-immigrant ICE raids. ICE is the federal government's Immigration and Customs Enforcement office. The resolution was sparked by our immigrant rights community-based organizations that have built stronger labor/community alliances with unions like SEIU, United Educators of SF, Local 2, United Health Care Workers and others. Last Month the Bay Area Immigrnt Rights Coalition [BAIRC] with our allies coordinated a week of actions against the ICE raids and for human rights and dignity for all immigrants. They are planning actions all over the Bay Area on May Day - May 1st. “ICE agents left hundreds of families traumatized and living in fear after trampling through our neighborhoods and homes randomly arresting and deporting loved ones,”according to Larisa Casillas, director of the Bay Area Immigrant Rights Coalition. ICE patrols have come through Richmond, San Pablo, Oakland, Redwood City, San Francisco and other cities in the Bay Area brutally detaining and deporting over 100 immigrants. According to ICE reports, over 13,000 immigrants have been rounded up nationally in deportation sweeps across the country since late January. Our Board of Education Resolution is connected with immigrant communities and labor groups' advocacy with the SF Immigrant Rights Commission, SF Board of Supervisors, Mayor Office and other City agencies to commit to civil and human rights protections for all immigrants, including undocumented people. By Eric Mar, Kimshree Maufus, and Jane Kim [all board members, including student delegates added their names as well]. WHEREAS, in 1989, after organizing by immigrant communities and the Coalition for Immigrant and Refugee Rights and Services, the SF Board of Supervisors passed Ordinance 375-89 making San Francisco a “City of Refuge” for undocumented workers anywhere from the world and the San Francisco Bay Area. In January 2006, the Board of Supervisors passed a Resolution 060067 Affirming the San Francisco’s City of Refuge Ordinance. The ordinance forbids city resources from being used to enforce federal immigration laws or to gather or disseminate information regarding the immigrant status of residents of the City unless such assistance is required by federal or state statute, regulation or court decision. THEREFORE BE IT RESOLVED: That the SF Board of Education, in solidarity with immigrant community organizations like BAIRC [the Bay Area Immigrant Rights Coalition - http://www.immigrantrights.org/], the Immigrant Legal & Education Network and the City and County’s designation of San Francisco as a City of Refuge, in light of the increasing tensions in immigrant communities, and the possible chilling effect on the educational rights of immigrant students by the enactment of the aforementioned laws and ordinances, the Board of Education hereby restates its position that all students have the right to attend school regardless of the immigration status of the child or of the child's family members. FURTHER BE IT RESOLVED: That the SF Board of Education further states that all District students, who register for the following services and meet the federal and state criteria, are entitled to receive all school services, including free lunch, free breakfast, transportation, and educational services, even if they or their family are undocumented and do not have a social security number and that no school district staff shall take any steps that would deny students access to education based on their immigration status or any steps that would “chill” the Plyler rights of these students to public education. 6. It is the general policy of the District not to allow any individual or organization to enter a school site if the educational setting would be disrupted by that visit. The School Board has found that the presence of ICE is likely to lead to a disruption of the educational setting. Therefore, any request by ICE to visit a school site should be forwarded to the Superintendent’s Office for review before a decision is made to allow access to the site. 7. All requests for documents by ICE should be forwarded to the Legal Office which in consultation with the Superintendent shall determine if the documents can be released to ICE. FURTHER BE IT FURTHER RESOLVED: That copies of this Resolution shall be distributed to all school sites, which are hereby directed to comply with the general guidelines and principles outlined herein. And, the Superintendent and Legal Office will ensure that the SFUSD Bilingual Community Council, ELAC – English Learner Advisory Committees, BAIRC, Immigrant Legal Education Network, SF Immigrant Rights Commission, the Mayor’s Office, and other immigrant community organizations are consulted and involved in monitoring the successful implementation of this policy. 10:00 am gather at the Fruitvale BART station and march to the federal buildingin downtown Oakland. To get involved in the planning, Claudia Reyes claudia@mujeresunidas.net. 12:00 pm people will be gathering at Dolores Street Park (Dolores Street & 18th) and start marching to Civic Center Plaza at 1:00 pm. At 1:00 PM from City Hall people will either meet up with the rally at Oakland or in San Francisco. This report is part of Getting Down to Facts: A Research Project to Inform Solutions to California’s Education Problems, funded by the Bill and Melinda Gates Foundation, The William and Flora Hewlett Foundation, The James Irvine Foundation, and The Stuart Foundation. Across all funds, the difference in total expenditures in a district at the 25th percentile of spending . . . the 75th percentile. . . . is more than $3,000 per student. K-12 salaries constitute . . . 60 percent of student spending. Controlling for inflation, California school districts are spending approxim ately 40 percent more now than they were ten years ago. This ten-year expenditure gain is especially pronounced for high poverty and small districts. Accounting for inflation, between 1995 and 2004. … Mean total spending per student increased from a low of $5,329 in 1995 to a high of $7,463 in 2004.. . growth occurred relatively uniformly among the poverty groups . . . . growth in capital outlay expenditures comprised a significant portion of total expenditure growth over this time period. . . . for some groups capital growth has offset declines in operational spending in the most recent years. Average total expenditures per pupil is $10,586 when including spending from all funds and $7,380 using spending from the general fund only as CDE does in its reports on school spending. there is substantial variation in spending on regular K-12 education. . . . Districts spend, on average, $10/ADA on vocational ed. California spends, on average, $64/ADA on bilingual ed. . . . substantial variation in spending on bilingual students. Districts with 250 students or more receive, on average, $300 per ADA for child nutrition $24 per ADA in staff development funds. Restricted Resources make up the other approximately 35 percent of all district resources. Districts receive, on average, $3,666 per student, with a large inter-quartile range between $2,463 and $7,361. . . . Of these restricted resources, the state supplies the most, with the local government providing less than half of what the state provides. Federal restricted resources . . . an average of $1,017 per student. . . . The State . . . restricted resources. . with an average of $1,754 per student.
. .. from parents and foundations. . . . It constitutes an average of $181 per student …[$78 --- $212 ]. . .While contributions to schools get substantial attention and are large in a small number of schools, ------- on average they only account for less than two percent of funds to schools percent of funds for operating expenditures. $2,154 per pupil, or 21% of total resources in Local Taxes. . . There is substantial variation in local taxes, with one quarter of students in districts that receive less than $1,166 per student and another quarter in districts that receive more than $2,747 per pupil. Parcel Taxes are the main tax available at the district level for generating supplemental funds. . . . .no group of districts raises a high quantity of funds through the parcel tax. There are a few districts in the state that do, but these do not lead to large differences between groups. Staff Development. . .. .approximately $24 per student in revenues. urban and unified districts and districts with high percentages of black and Hispanic students and of students enrolled in the free or reduced price lunch program spend substantially more on consulting and operating expenditures than do other districts. urban districts and districts with a high proportion of students in poverty. . . receive substantially more restricted revenues. . . than their counterparts. . . .. federal government ... contributes … approximately 25 percent of restricted funds and ten percent of total revenues. [Basic Aid districts exceed the pre-defined per-student revenue limit for each school district that specifies the maximum amount of base funding it receives. Basic aid districts are 10% of all districts] – they have a higher income population ($75,090 vs. $47,841 median household income), who are more highly educated (49.4 vs 23.1 percent college graduates). basic aid districts spend $14,160 per student on average while non-basic aid districts spend only $10,475, a 35 percent difference. Basic aid districts spend 107 percent more on capital outlay on average than do non-basic aid districts ($3,330 per student vs. $1,607 per student). With adjustments, Texas spends 12 percent more than California; Florida, 18 percent; New York, 75 percent, and the rest of the country, 30 percent. California spends less on salaries than other states and this is driven by lower adult to student ratios. One manifestation of lower spending in California is substantially fewer adults in the public education system in California than in other states. There are fewer teachers per student, fewer school administrators per student and fewer district administrators per school administrator. 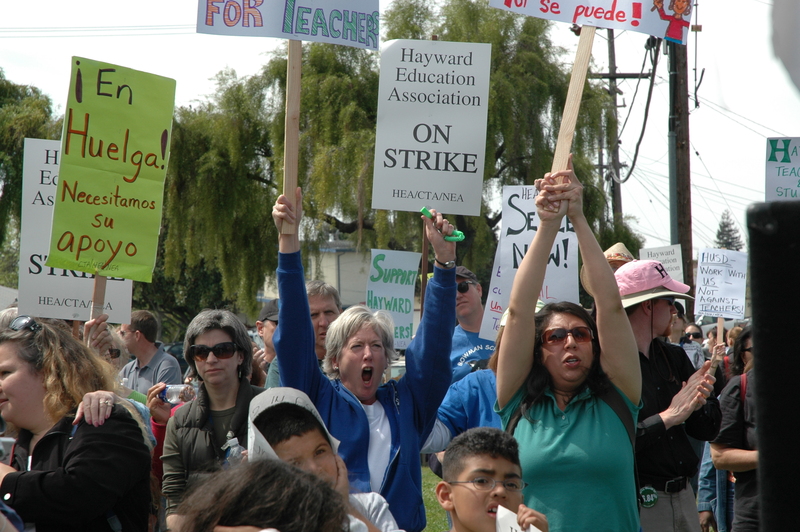 As their strike enters its 7th day, Hayward Education Association teachers today vowed to fight Superintendent Dale Vigil and his Board's efforts to seek a court injunction to force teachers back to work. Lloyd LaCuesta of KTVU Channel 2 here in San Francisco/Oakland reported this evening that teachers and parents were picketing the superintendent's apartment complex. The district's lawyer [who also sometimes serves our SF district as well] attempted to further demonize teachers as uncivil. But parents and residents interviewed showed sympathy for the teachers who have been fighting for a fair contract, better salaries and health benefits. “The district has been wasting time at the bargaining table for weeks by repackaging the same poor salary offer,” said Kathleen Crummey, president of the nearly 1,300-member Hayward Education Association. Hayward and East Bay Area parents who are supporting their teachers will march for two miles through Hayward Friday morning to demand respect from Superintendent Dale Vigil, who called security guards on dozens of parents who massed at the district office Wednesday and refused to meet with them. The march is on rain or shine. It will start at Weekes Park, 27300 Patrick Ave. Chanting parents with protest signs about the district will move down Patrick, Gading, Harder and Cypress, crossing Jackson Street on Cypress, then ending the march at the school district office, 24411 Amador St. The Asian American Journalists Association, headquartered in San Francisco, questioned stories and online comments posted Tuesday morning that highlighted Cho's race and immigration status because that emphasis suggested those factors played a role in the shootings. Some of the people posting to blogs and chat rooms online Tuesday blamed Cho's actions on his "foreign" status. Others dismissed such arguments as preposterous and asserted that the massacre resulted from easy access to guns, violence in the media or the popularity of violent video games. Still others theorized he was a member of al Qaeda, carrying out a terrorist attack. He was an English-as-a-second- language student depressed about finals, according to another theory. The disclosure today that the gunman suspected of carrying out the Virginia Tech massacre was a South Korean national made the killings all the more shocking and painful for Los Angeles' huge Korean American community. "My heart sank when I heard the news," the Rev. John J. Park, president of the Council of Korean Churches in Southern California, said at a hurriedly called meeting of community leaders in Koreatown. The community leaders said they hoped that the incident will not trigger a backlash against Korean American students. The leaders noted that the suspect, Cho Seung-Hui, a 23-year-old English major, arrived in the United States as boy. They said that, from a cultural perspective, many Koreans might be reluctant to seek out mental health counseling. They urged Korean Americans to be vigilant about seeking counseling services if they or family members need help. During the hourlong session, community leaders prayed for the families of victims, for healing of the wounded and for the Virginia Tech community. Community leaders also announced a 4 p.m. candlelight vigil and service today...in Koreatown. Also, an immigrant advocacy group, the National Korean American Service & Education Consortium, released a statement saying it joined "all Americans in mourning the lives lost as a result of the school shooting that took place yesterday." The group, with affiliates in Los Angeles and Flushing, N.Y., added, "This unspeakable tragedy hurts all of us. As a community, Korean Americans will come together to provide the support and resources needed for the students, their families, the faculty and the staff at Virginia Tech to overcome the grief and pain that overwhelms them all at this moment." Korean American national civil rights groups like NAKASEC to local groups from LA to Atlanta have issued their statements regarding the Virginia Tech massacre. And, HapiHour's Keith Kamisugi reports that the Korean American Coalition, the Mirae Foundation and the Southern California Korean College Student Association have created a “Virginia Tech Memorial Fund” to support those affected by the recent tragedy at Virginia Tech. View the complete post at the HapiHour Blog. See also the Korean American Coalition of DC. Washington D.C. The Japanese American Citizens League (JACL) is shocked by the meaningless loss of human life in the killing of over 30 students and faculty at Virginia Tech. The JACL joins the rest of the Nation to express condolences to the families of those who perished in this tragedy and wish for a speedy recovery of those who were injured. Will Virginia Tech 'College Columbine' Massacre Lead to Anti-Asian, Anti-Immigrant Backlash? The 10,000 School Board Members meeting here in San Francisco for our National School Boards Association or NSBA conference are observing moments of silence and reflection on the horrifying Virginia Tech massacre yesterday morning. But many Asian Americans around the country are already bracing for a potential anti-immigrant or anti-Asian backlash. The Associated Press reported this morning: "A Virginia Tech senior from South Korea killed at least 30 people locked inside a school building in the deadliest shooting rampage in modern U.S. history, the university and police told a news conference Tuesday... Officers identified the classroom shooter as Cho Seung-Hui, 23, a senior from South Korea who was in the English department at Virginia Tech and lived in a different dorm on campus. Cho committed suicide after the attacks, and there was no indication Tuesday of any motive. “He was a loner, and we’re having difficulty finding information about him,” school spokesman Larry Hincker said." The 'beware of young Asian male" hysteria is already spreading - see Radical Hapa's recent post - VTU Shooting: Targetting the Asian. Jenn's Excellent Reappropriate Blog gives more of the anti-Asian backlash and info on the killer - a 23-year-old South Korean born permanent resident of the United States since 1992 when he immigrated as an eight-year-old. Numerous websites and blogs are calling the shooter everything from "foreign looking" to "nerdy Asian guy" to even more racist desciptions. Although many Asian Americans share the horror of the killings and many of us will be working to help the families of those who were injured or killed, we also have to be supportive of Korean and Korean-American communities. In addition, we should also be supportive of the immigrant communities around the Virginia Tech campus and the region to ensure that our communities and all immigrant communities, in particular, are not blamed for the actions of one person. The Asian American Journalists Association yesterday issued a press release urging media covering the tragedy to “avoid using racial identifiers unless there is a compelling or germane reason.”“There is no evidence at this early point that the race or ethnicity of the suspected gunman has anything to do with the incident, and to include such mention serves only to unfairly portray an entire people. The effect of mentioning race can be powerfully harmful. It can subject people to unfair treatment based simply on skin color and heritage,” said the release....AAJA reminded members of the media that the standards of news reporting should be universal and applied equally no matter the platform or medium, including blogs. AAJA is already taking tremendous criticism nationwide for their efforts to ensure responsible journalism. 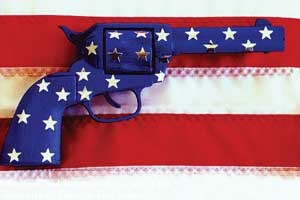 It seems to me that the recent killings at Virginia Tech and the upcoming 8th anniversary of the Columbine High School massacre on April 20th both serve as a wake up call to end our culture of violence or what Michael Moore and other media watchers call our 'American Gun Culture' and the growing alienation of many young people in our schools and colleges. Hopefully, after the families have been comforted and supported and we have taken a step back from the media hysteria, we can get back to our work supporting our public schools, including more school counselors, mental health services and social workers, and reinvesting in our communities so that we can prevent any future Columbine or VTech Massacres. Students at Stanford University, 30 miles south of San Francisco, have been fasting since Friday the 13th to support an organizing campaign for stronger living wage policies for workers at their elite campus. Led by the Stanford Labor Action Coalition, students are demanding a Real Living Wage for Stanford workers! To help, you can sign SLAC's petition endorsing a real living wage policy! or come out to the actions this week. Students were joined today by Maribel Garcia and Ernesto Garcia, janitors subcontracted through ABM, and two alumni: Sofia Lee and Max Garcia. They also held a BBQ, rally and march at Stanford's Community Day, a big publicity day for the campus. But the students and workers called theirs "CommUNITY Day: United for a Real Living Wage" and drew a couple hundred workers, students, alumni, and faculty. The rally featured solidarity statements and speeches by new and ongoing fasters. The fasters have moved their fast encampment now to the main quad, right outside Standord President John Hennessy's office. Today's actions secured a meeting with President Hennessy on Monday, April 16th, at 5:00pm with a delegation of six students. Join SLAC for actions this week. Stanford students have organized for years to build stronger labor/community alliances. SLAC was founded in 1998 during a student labor conference put on by MEChA (Movimiento Estudiantil Chicano de Aztlán) and SEAS (Students for Environmental justice At Stanford). While we have taken on a variety of campaigns and organized with various groups of campus workers, our long-term project is to ensure that Stanford fulfills the ethical responsibilities laid out in the University charter by adopting just, transparent and accountable employment mechanisms and policies. As described in our Mission Statement (below), this campaign is part of a larger committment to effecting broad social change and challenging all forms and structures of injustice and oppression. Thanks to Mike Klonsky's Small Talk blog for keeping us updated on the 'Ownership Society' and corporate agenda in public education and the challenges for Small School organzing and advocacy around the country. Richard Morrill, a librarian and teacher from Sumterville, Florida has a great commentary in the latest Edweek, "Monopoly and No Child Left Behind." He uses a game of monopoly as a real and metaphorical lesson about the Ownership Society. Morrill, who spent 10 years in social-democratic Denmark, gives his perspective on the differnce in attitudes between Danes and Americans, towards the concepts of equality and freedom and the way each country looks after its less fortunate citizens. Americans say that no child should be left behind, and they seem to think that education is the key to ensuring that children are not left behind. There seems to be little understanding, though, that the schools alone cannot equalize opportunity for children who come from homes and neighborhoods with very different socioeconomic characteristics, nor that schools may, unintentionally, but by their very nature, widen the gap between more-advantaged and less-advantaged children. The 9,000-student Berkeley Unified School District has taken measures since 1968 to promote racial balance between schools in the largely minority flatlands and the mostly white hillside and UC Berkeley neighborhoods. Its current plan, adopted in 2004, gives each neighborhood of four to eight blocks a diversity rating, based on parents' income and educational levels and the students' racial composition. The district uses that rating to promote balance at the city's 11 elementary schools and in special academic programs at Berkeley High School. In her ruling, Smith said the enrollment system does not violate Prop. 209's ban on racial preferences because the district considers race only indirectly, as a factor in a neighborhood's diversity rating, and does not determine individual student placements. "The district simply takes racial diversity into account, along with other diversity indicators, as a means of achieving its goals of integration of its schools,'' the judge said." One of my mentors, Civil Rights, Peace and Social Justice Leader Dr. Carlos Munoz, is giving the keynote at our Council of Urban Boards of Education - CUBE - conference this Friday the 13th at 9am at the Hilton Hotel in San Francisco's Union Square area. As a young educational justice organizer and activist Carlos helped lead the 1968 East Los Angeles youth movements and 'blowouts' dramatized in last year's HBO film Walkout. Here are Munoz' May 20, 2006 remarks to the Chicano/Latino Graduation Ceremony at UC Berkeley last year in the midst of the largest US social justice protests in generations from March-May 2006 for immigrant rights and dignity - texasedequity.blogspot.com/2006/05/dr-carlos-munoz-jr-uc-berkeley.html. My vision is that Americans of all colors, religions, sexual preferences, men and women will give birth to an authentic Multiracial Democracy. A Democracy that will promote a true racial and ethnic diversity and equality in everyday life. A Democracy that honors its immigrant legacies and values as equal all immigrant workers whether they are documented or undocumented. A Democracy that will promote social justice, religious tolerance, non-violence, and peace at home and abroad. A Democracy with a government that will include a representative of every diverse group at the table of political power on behalf of the people, not the military-prison-corporate complex. A Democracy with a national political multiparty electoral system where candidates for election include the poor and working class, not just those who are rich or middle class. With an electoral system where every vote will in fact be counted. No more Florida's, no more Ohio's, no more Bushes. A Democracy where human needs are prioritized and not the needs of the rich and the corporations. Where health care and education are defined as Human Rights. THIS VISION WILL TAKE A LONG TIME TO MAKE COME TRUE. But What I have learned in my lifetime is that struggle is life and life is struggle. But most importantly, that victory is in the struggle!Congratulations to each and every one of you. Love, Peace, and Justice to you all! Dr. Carlos Muñoz, Jr. was born in the “segundo barrio” in El Paso , Texas , and raised in the barrios of East Los Angeles , California . He is the son of poor working class Mexican immigrants. He earned his AA from Los Angeles City Community College , his BA with honors in Political Science from California State University at Los Angeles and his Ph.D. in Government from the Claremont Graduate School . He is Professor Emeritus in the Department of Ethnic Studies, University of California , Berkeley . After 37 years of teaching in higher education, he has gained international prominence as political scientist, historian, journalist, and public intellectual. Dr. Muñoz was the founding chair of the first Chicano Studies department in the nation in 1968 at the California State University at Los Angeles and the founding chair of the National Association of Chicana & Chicano Studies (NACCS). He is a pioneer in the creation of undergraduate and graduate curricula in the disciplines of Ethnic Studies. He is the author of numerous pioneering works on the Mexican American political experience and on African American and Latino political coalitions. His book, Youth, Identity, Power: The Chicano Movement won the Gustavus Myers Book Award for “outstanding scholarship in the study of human rights in the Untied States”. The book is in its 12th printing and was a major resource for the PBS television series “Chicano! History of the Mexican American Civil Rights Movement“. Dr. Muñoz was the senior consultant for the project and was also featured in the series. Dr. Muñoz is an acknowledged expert on the issues of ethnic and racial politics, multiculturalism and diversity, immigration, civil and human rights, and affirmative action. As a scholar-activist, Dr. Muñoz has been a central figure in the struggles for civil and human rights, social justice, and peace in the United States and abroad since he was a student activist in the 1960s. He played a prominent leadership role as a founder of the Chicano Civil Rights Movement. Since then he has served as a leading organizer of various multiracial coalitions, including the Faculty for Human Rights in Central America , Faculty Against Apartheid in South Africa , and The Rainbow Coalition. In 1988, he was a key advisor to the Jesse Jackson presidential campaign. He served on the Board of Directors of the American Civil Liberties Union of Northern California and is a co-founder of the Institute for Multiracial Justice in San Francisco , California . He also co-founded Latinos Unidos, a grassroots community organization in Berkeley , California . Dr. Muñoz is a Vietnam Era Veteran and a member of the Veterans for Peace and is active in the Counter-Military Recruitment in the Public Schools Movement as well as in the larger Anti-Iraq War Movement. At the local level here in the San Francisco- Oakland Bay Area, CES is working with our district to hopefully begin a new Bayview Essential School of Music, Art and Social Justice in the Fall. But on a national level they are promoting an innovative campaign to showcase models of alternative assessments which challenge the NCLB-promoted high-stakes-tests and to hopefully impact policy at the national and state levels. The Second Annual National Exhibition Month (May, 2007) highlights exhibitions as a preferred form of student assessment and features over 100 public schools in 25 states that will open their doors to the public to showcase student exhibitions. According to Lewis Cohen, Executive Director of CES, ... exhibitions are presentations that students make in front of outside “experts” to demonstrate what they know and what they have learned. “We are inviting community members and policy makers to witness the deep learning and engagement that this type of assessment requires,” Cohen said. While standardized tests may show a “slice” of what students have learned, exhibitions offer up the whole pie, providing a 360º look at what students know and what they can do with that knowledge. Unlike machine-graded assessments that test textbook memorization, exhibitions require students to develop and use a wide range of analytical and communication skills. One San Francisco High School that has developed excellent alternative portfolio assessments is June Jordan High School for Equity. I am proud to say that one of my nieces will be graduating in the first JJSE graduating class. She has been accepted to the University of California, Davis [my alma mater!] and will likely be attending there in the Fall. SF School Board President Mark Sanchez and I will be honoring June Jordan students, parents and founders Kate Goka, Shane Safir and Matt Alexander at the school's 4th Anniversary Celebration on May 3rd. 4/14 Saturday - 9:30am - San Francisco - Voice your concerns about NCLB! As thousands of school board members [like me] from all over the country will be meeting in the Annual NSBA [National School Boards Association] conference, hundreds of parents, teachers and community folks [like me] will be picketing outside the Moscone Convention Center to bring attention to the disaster called - NCLB No Child Left Behind [aka No Child Left Untested]. Gather outside the Moscone Center in San Francisco (747 Howard St., SF, between 3rd and 4th ~ at the Lobby Entrance). We will join teachers, parents, administrators, school board members and students from Fresno, Oakland, San Francisco and elsewhere who will be voicing their concerns over the harmful impact NCLB is having on education, our schools and our future. For more info on how to raise your voices against the harms of NCLB join the 29,000 others in protesting NCLB at the Educator Roundtable website. 24 years ago I became an activist not long after a racial violence incident at Davis High School involving the May 4th stabbing death of Thong Huynh, a 17-year old Davis High School student, by another student James Pierman and a group of his colleagues who had racially taunted Huynh for weeks. I worked with Civil Rights activists Angela Oh, Pattie Fong, Bob Matsueda, Grace Kim, the late Prof. George Kagiwada and others to build a group called Davis Asians for Racial Equality or DARE at the time. The City of Davis now commemorates Huyhn's life with a memorial award. In Northern California, the Huynh case was our local racial violence 'wake up call' on the same level as the Vincent Chin killing was in Detroit and the midwest from 1982-87. Chin was killed June 19, 1982 by Ronald Ebens and Michael Nitz, both unemployed autoworkers who beat him to death with a baseball bat in front of a McDonalds. Neither spent a day in jail and both were given $3000 fines and 3 years probation after they pled guilty to manslaughter in the killing. At the time I worked with other KPFA reporters to interview Huynh's family and activists from Northern California. I always teach about the Vincent Chin and Huynh cases because of their importance to Asian American history and social movements history as well. Davis city reached SF news headlines again a few years ago after 911 when more hate crimes and racist incidents started growing. In February, Davis High School students spray-painted the n-word word in large red letters on a sidewalk near the home of an African American couple, two professionals who had moved to Davis three months before to raise their children. Disturbing Incident involving Davis High School - A few weeks ago, a Davis High School student, a 4.0 honors student heavily involved in student government and community causes, turned in a poster for one of his classes on Malcom X. On the poster appeared the phrase, "by any means necessary" along with other phrases from one of Malcom X's most famous speeches. 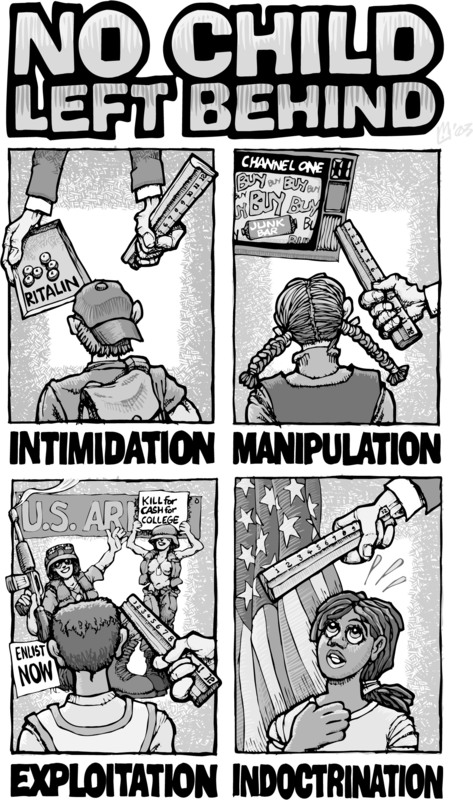 ...The next day, the student came back and found that the poster had been taken down and in front of the class was told that this was a "terrorist" message. A few weeks later, this same student was asked to give a speech in front of the school during Human Relations Week about a civil rights incident that he had experienced. He was given a choice and decided to do it on this specific incident. He then gave them an advanced copy of the speech which they approved. He was told that he could not specifically mention the teacher and he agreed to this. He then delivered the speech, he did not mention the teacher's name. Apparently the teacher however walked out during the speech, he and his parents were called in by the Vice-Principal. To me on the surface this seems to have been handled very poorly. The Malcom X quote was clearly not intended to be a "terrorist" message. The teacher clearly overreacted there. I mention this since the terrorist issue arose, that this student is an American-born Muslim. Apparently the ACLU has been contacted, CAIR is involved, and many of the student's peers are outraged. "CFA and CSU reach deal in principle on contract/Two-day rolling walkouts put on hold while deal is finalized/CFA and the CSU administration have reached a tentative contract agreement and the union’s Board of Directors has voted unanimously to postpone rolling walkouts pending finalized contract language. Tentative agreements have been signed on the issues of salary, workload, grievances, parking and appointments which have been the most contentiously debated topics in this round of bargaining. The accord was reached using the recommendations of neutral fact finder Sylvia Skratek as framework for the deal. Should an unforeseen breakdown in these latest talks occur, faculty remain prepared to initiate job actions. The new contract will likely be sent out to the membership for final ratification in late April. Updates will be made to this page as the contract becomes final. " April 3, 2007 – The California State University (CSU) today announced it has reached a tentative agreement with the California Faculty Association that provides all CSU faculty with base pay increases of 20.7 percent over a four-year period, as well as step increases for those eligible, making the package worth 24.87 percent. In addition to these increases, $28 million will be provided in the form of merit and equity increases that will provide raises for senior faculty who have reached the top of the pay scale, as well as boost junior faculty compensation. The CSU will seek an additional 1 percent increase for all employees’ compensation in state budget funds in each of the next three years. An additional 1 percent in each of the last three years of the contract, contingent on receipt of additional state budget funds. The CSU also accepted the fact finder’s recommendations to establish a salary structure committee to examine faculty compensation issues and to increase faculty parking fees commensurate with their General Salary Increases in each year of the agreement. This tentative agreement must be ratified by the membership of the California Faculty Association. Then it will be submitted to the CSU Board of Trustees for approval. What a relief! Bravo to our CFA bargaining team and to management's team as well for reaching this agreement and a new 4-year contract for our faculty throughout California! St. Louis activist Jamala Rogers says communities are resisting what they call a 'hostile takeover' of their schools by the Missouri State Board of Education. It came as no surprise that the state Board of Education voted to discredit and discount the wishes of thousands of students, parents, teachers and community leaders last week. The St. Louis Public Schools District was stripped of its accreditation and an overseer appointed. Advocates of public education have not conceded to defeat and, in fact, have vowed to intensify the fight to regain accreditation and their right to vote. So, consider this a hostile takeover. That is language a corporate CEO understands. The rest of us must gear up for the battle for public education, self-determination and voting rights and regain our schools by any means necessary. More on St. Louis Schools - For background on takeovers of urban school districts over the past 10 years see Buffalo School Board President Florence Johnson's article School takeovers deserve a grade of 'F' from the National School Boards Association Magazine. Across the Bay from us Oakland parents, students and communities have been resisting their takeover for years. See the Data Center's analysis of Oakland, Richmond and other California takeovers and the devastating, anti-democratic impact they have had on schools throughout the state. Organize Da Bay and the Malcolm X Grassroots Movement have been central in building community resistance to the takeover the Oakland Schools.